Forecasting is a dangerous proposition. Just ask any weatherman. And yet, it's human nature. We want to have an idea of what's coming before it arrives. And it's not just curiosity; for some businesses, the ability to accurately make predictions can mean the difference between profit and bankruptcy. Take the construction industry, for example. Successful firm owners and managers are not only good at forecasting construction project planning and trends. They also have an affinity for spotting changes in labor, suppliers and supply chains, and changing legislation that could affect the way work is performed. Are these individuals psychic or just really, really, well informed? And if it's the latter, how can one continually keep one's nose to the ground for game changing news updates while running a business at the same time? Relax. Staying abreast and ahead of industry changes doesn't mean spending your days in a research library. But it does mean making changes to your office software. 1. Start By Upgrading ItAre you still using software that can only be used by others in your office and that requires your own IT platoon to manage? There have been great strides in software development in the last decade, making it much more mobile, easier to use, and offering its users many more options. ERP Systems for example, not only offers software than can handle a firm's payroll and time management, expense management, resource management, and project management capabilities, ERP for construction can be tailored to fit requirements of specific industries, such as data collecting. 2. Make Sure It's Not Too UniqueYour new software's really pretty and it was really cheap, you say? Great, but is it comparable with the software other construction firms are using? In other words, when you're all looking at market trends and supply procurements, are you seeing the same thing other firms are? If not, you're going to get left behind. Also, be sure that new systems you introduce compliment other ones that you are using, instead of tripping them up. 3. 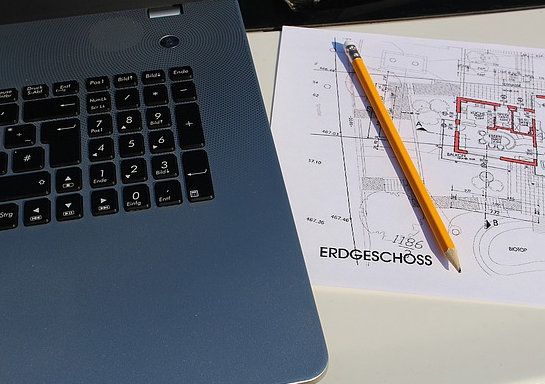 Make Sure It's Software You Can UseBe sure to select construction forecasting software that makes your job easier, instead of adding extra work. Raken's software for daily reporting for example, is easy to use, can be filed from mobile devices, is 100% industry compliant, and data retrieval from these reports is keyword activated. The information you can derive from these reports may not make you psychic, but it will certainly help to put you ahead of the curve in forecasting what's coming in construction. You need to find an effective construction planning software compatible to your company.